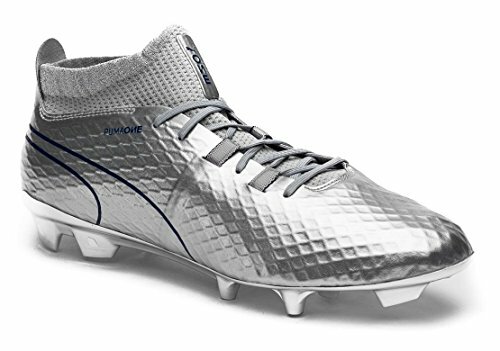 Featuring a new design that comprises of a shimmery silver foil finish, the Puma One Chrome 17.1 is the latest release from Puma manufacturers. The shimmery like design of the shoe that is found on the upper and underneath of the shoe make it highly appealing. You can also gain access to the Pumas effective evoKNIT sock that is designed to provide a snug and comfortable fit on your ankle. The Puma ONE Shoe has been designed to provide various design benefits. In particular, it has been designed to be lightweight, comfortable and to provide clean touch benefits. With its unique shape across the foot, this shoe provides optimal flexibility, and it’s also durable enough for long-lasting performance. Generally, the shoe has a trendy appeal that provides multi purposes capabilities. In considering the $274.99 price tag, this shoe provides unrivaled user performances. Compared to its predecessor, this particular shoe has various design benefits to offers. The most notable feature includes the upper material construction. In particular, the PUMA manufacturers have done well to include a synthetic and shimmery material design. This provides the shoe with an appealing visual effect. Additionally, the shoe also has a thin layer of upper skin that features a honeycomb internal cage. 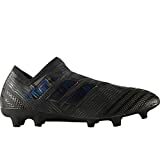 This feature helps to maintain the contour of the boot while providing additional texturing for improved ball control. The main aspect here is that the upper material is soft and it conforms as to the unique structure of your foot. Another equally important aspect that is not noticeable at first sight is the unique blue depth color. Instead of using the conventional black color, Puma has done well to incorporate a unique contrasting Blue color. This one of the main aspects of this Puma ONE Chrome 17.1 review. This includes a special signature side logo and cat, which are highly appealing. Further, the shoe also has a dynamic visual effect on the shoe release and a layer of shimmery glitter on the top of the evoKNIT sock.This allows you to slip your foot into the boot and it makes the boot an excellent solution for your shoe wear needs. In order to provide a snug fit, the Puma brand uses a special lacing system to ensure the upper foot is locked around the foot. The lacing system comprises of two amply sized rectangular pieces that are integrated to the upper. The one placed close to the top section of the boot, can run underneath the soleplate for added customization. When acts to actual sizing, the ONE provides an accommodating fit. In fact, the shoe will easily conform to your foot since it comes with a special evoKNIT Sock. This provides optimal stretch as you introduce your feet into the boots. More so, the shoe also has excellent width design, which provides added palatability in the upper as your work your shoe into the hem. The shoe also has a unique length size to provide an additional room as when compared to conventional boot designs. 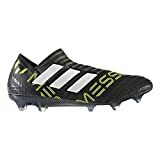 While the shoe is not necessarily large, those who find shoes such as the Adidas Purespeed or the Nike Tiempo uncomfortable can enjoy the benefit of using these shoes. While this shoe is now classified as a limited edition by Puma, the shoe won’t sell as fast as other brands. In fact, we suggest that you give the shoe a deeper look now before they disappear. This Puma ONE Chrome 17.1 review is the perfect place for you to start. All things considered, this is by far one of the LE releases. The shoe has a unique design, and it also provides exceptional user performance. Additionally, if the top-tier one Chrome 17.1 boot is not ideal for your needs, then you can check the mid-tier ONE Chrome 17.2 that is more affordable. That said, the shoe is still appealing and excellent consideration for your needs.